A customer mentioned the cost of Plaster Magic to me. With historic house you must time long term. Plaster is a multi-generational material so let’s fix right the first time. OK, your plaster has spent 100 years getting to its current condition, likely 100 years of deferred maintenance. Of course it will take time and money to roll back those years. But the cost divided out over those 100 years becomes very inexpensive. Yes I could make Plaster Magic much less expensive. 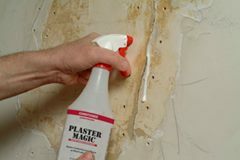 Making Plaster Magic with high quality adhesive components of the stickiest kind and developing a conditioner that penetrates and consolidates the dust and debris found within the plaster/lath cavity costs money or I could have added basically dust to become cheap like the other manufacturers. These are the before and after images of water leak damage. The plaster was falling down. Many would have suggested an expensive rip down and replace. Talk about expensive! Using the Plaster Magic method to repair plaster takes half the time and repairs it forever. Half the time! half the mess! Half the cost! WHEN YOU DO IT YOURSELF, EVEN LESS MONEY!!! I wanted to make the best possible product that would deliver as promised, backed by my 35 years of experience repairing historic plaster. I didn’t just puzzle this out last weekend. 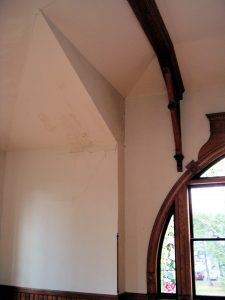 There is are important reasons for the choices that went into the methods and materials of Plaster Magic. 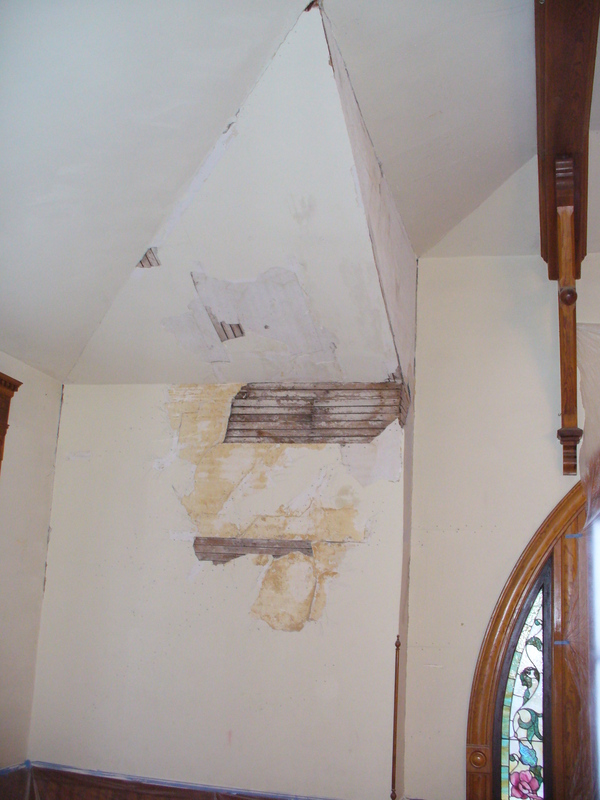 Most of our customers are tackling repairs that are a result of 100 years of deferred maintenance. In many ways this is a testament to the skill of the original craftsmen, the materials they used and the solidity of the existing architecture that has lasted this long. 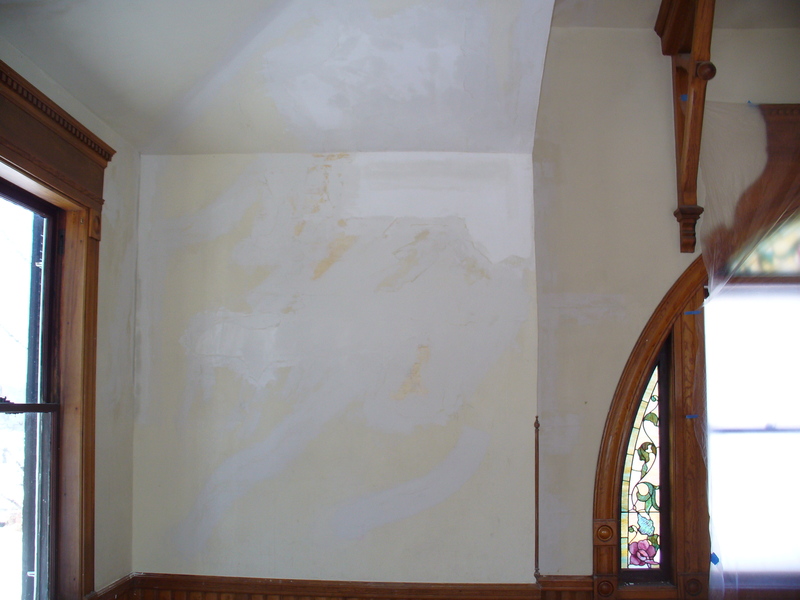 With Plaster Magic you are buying a product based on over thirty five years of my experience repairing plaster in some of the most significant historic houses in the country. This is not a remove and replace product. Not only does the technique and materials satisfy conservation and preservation qualifications but it is the most cost effective method of repair by being the ONLY product that actually fixes what’s wrong with the plaster. Being a Vermont Yankee, thrift means a lot to me. Manipulating materials found on the hardware shelf (excepting Plaster Magic) to look like they might work, well you might save a few bucks, but isn’t a recipe for success. Using a diluted plaster bonding agent, wood glue, white glue, Elmer’s, etc. (PVA) instead of Plaster Magic Conditioner will do two things. First, it will void the warrantee covered by the white glue which doesn’t cover dilution. Second, it won’t consolidate the dust and debris on the interior plaster surface or lath. It will just sit on the surface, clinging to the dust and eventually peel away. 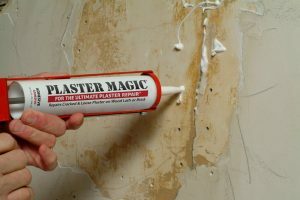 Third, being chemically related to Plaster Magic Adhesive, the Plaster Magic Conditioner is designed to work in conjunction and bond with our Plaster Magic Adhesive and using anything else in place of the Plaster Magic Conditioner not only won’t work but voids our warrantee as well. 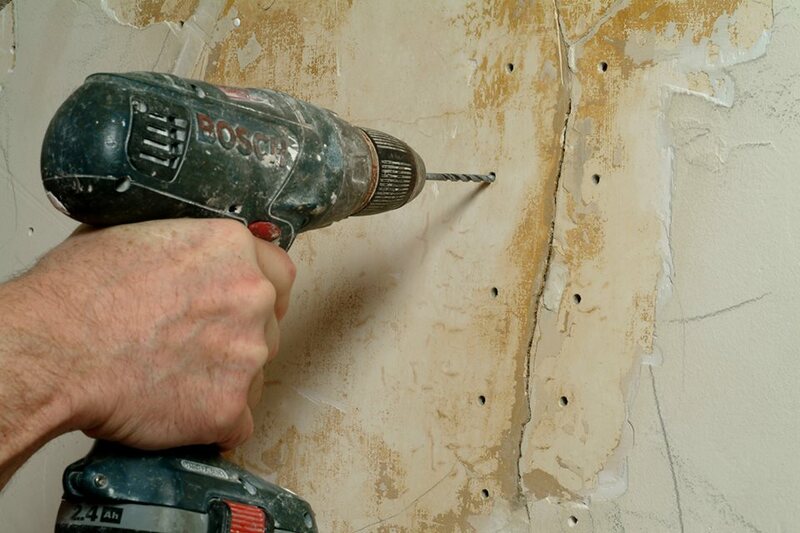 Step two: Inject or spray Plaster Magic Conditioner into the holes consolidating the plaster and lath. 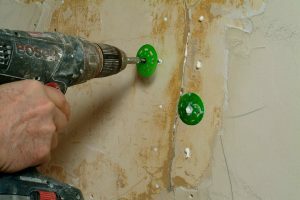 Step three: Inject the Plaster Magic Adhesive into the conditioned holes. Its a good sign when it comes out the crack. 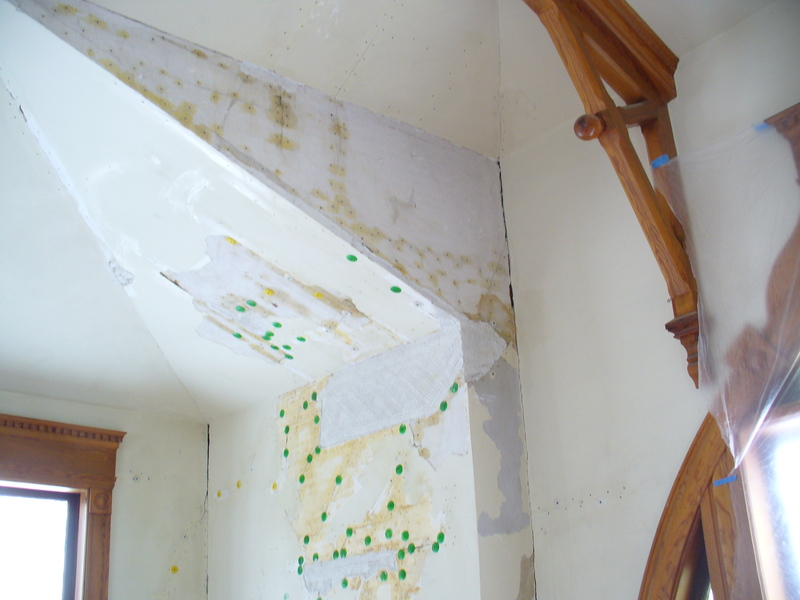 Step four: Clamp the plaster to within 3/16″ of the lath. 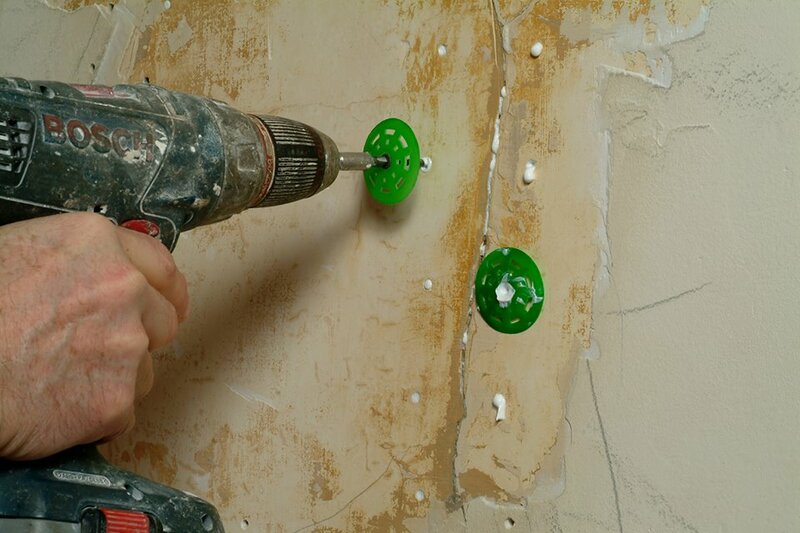 Remove screws and washers after a minimum of 24 hours. Check out Big Wally’s Plaster Magic product review on Jack Dever’s Home Solutions Show, WELW-1330 AM. Willoughby, OH. Listen to an interview with Jack Dever and Rory Brennan, President and Founder of Big Wally’s Plaster Magic on March 27, 2010 8:05 AM EST. Please join us!